A trio of heart-melting photos depicting a cute hamster without front or back paws have melted the hearts of thousands of online users this week. The pictures were posted on the popular photo-sharing website Imgur Friday night and have so far received nearly 125,500 views. Two of the images show the pet perched on what appears to be a wooden table next to a white dish filled with polished rocks. 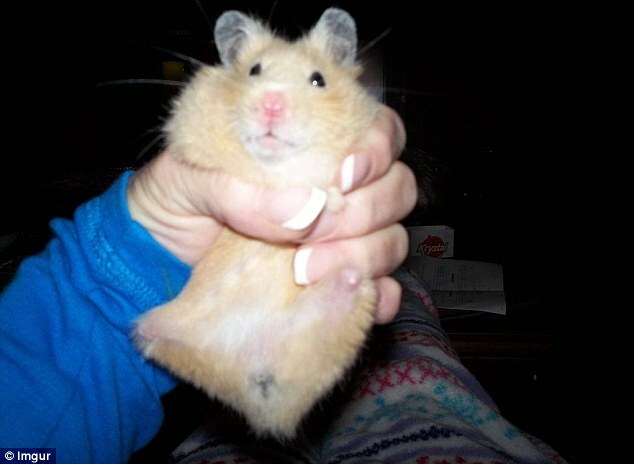 A third photograph depicts the hamster in the hand of a woman sporting French manicure, who appears to be squeezing the critter around its midsection. Her identity remains a mystery. Precious little is known about the furry little rodent pictured in the images. It remains unknown how the animal lost its limbs, or whether it was born without paws. In the photos, the pet rodent looks healthy, with clear, bright eyes and shiny golden coat. 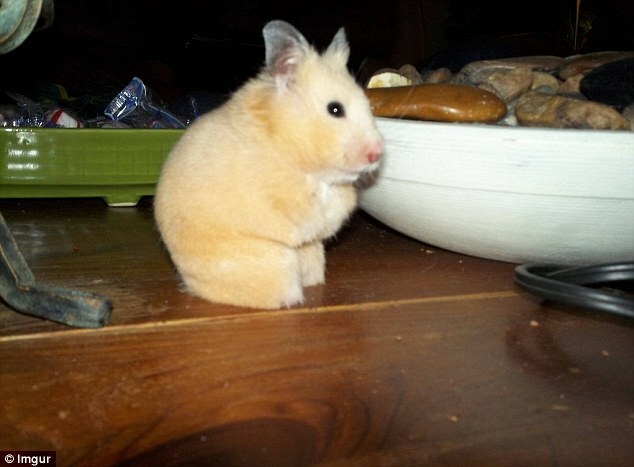 Based on the description provided by the ASPCA website, it appears that the mystery pet is a common six-inch Syrian, also known as the golden hamster or teddy bear hamster. Syrians have a lifespan of two to three years. 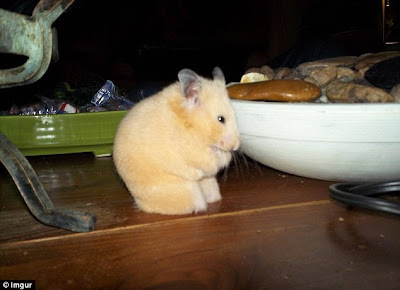 Often viewed as the quintessential kid-friendly pet, hamsters are nocturnal by nature and have a reputation for biting when awakened during the day.